Studying abroad and contributing to the lives of others has been a large part of Madison Keogan’s time at Daemen College. 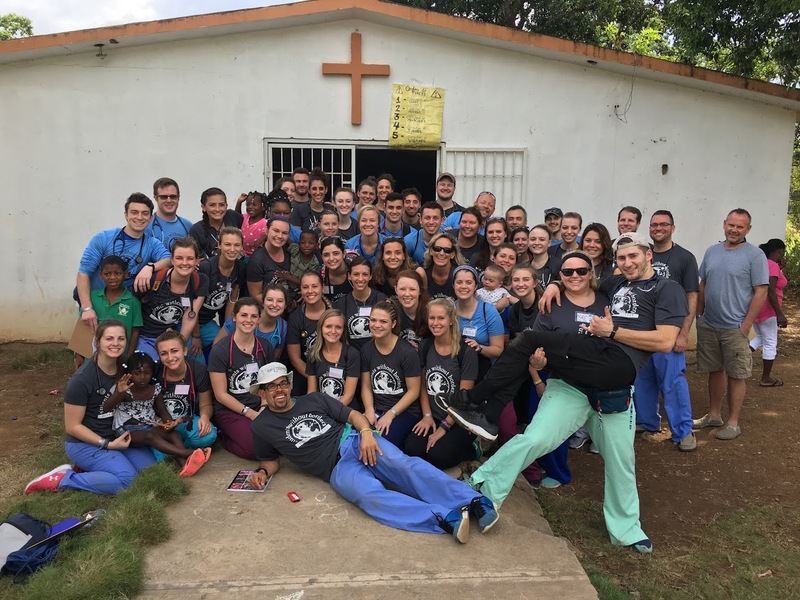 Keogan, a senior in the physician assistant program, spent two years as a contributor and president of the Students Without Borders program. Keogan described her experience traveling abroad and participating in the program. SWOB students in the Dominican Republic. How did you learn about Students Without Borders? I joined SWOB my freshman year as a means to get involved with students in the Physician Assistant program. This allowed me to make friends with PA students that were older than me and ended up being a vital asset in my education. Was this your first time out of the country? No. I’ve actually studied abroad to New Zealand, Fiji, and all over Europe during my sophomore and junior years. I also went on the 2017 SWOB trip last year. Tell me about this year’s SWOB experience. Nothing in my life has compared to the feelings and emotions I’ve had while working in the Dominican Republic. My experiences have truly shown me what is important in life. We often take so much of what we have for granted and working with SWOB put life into prospective for me; there’s nothing more I want in life than to continue to provide the care to those in need. Students and Reyna with her new wheelchair. During last year’s SWOB trip, we worked in a nursing home and I met a woman named Reyna who is a fabulous woman full of attitude, love, and appreciation for what we do. Reyna is missing a leg and explained that she continually prayed for a new wheelchair to replace her broken one. I promised myself that I would bring her a replacement wheelchair on our next trip. A Daemen PA graduate, Jill LaMarca, secured three wheelchairs which we were able to donate to the nursing home. Seeing Reyna with her new wheelchair was extremely emotional. She wheeled around her room and made sure it could fit between doors and hallways. When we asked her if she liked it she said, “Of course, I love it.” With tears in her eyes, she thanked us for all we’ve done and thanked God for answering her prayers. What did your group do while you were there? We ran a daily medical clinic in San Pedro De Marcoris with two shifts of personnel. Our group consisted of physician assistant and physical therapy students, doctors, physician assistants, and nurse practitioners. We worked side-by-side with translators to bring medical care to the community and took patients’ vital signs, established history, performed physical exams, diagnosed, and treated the patients with the help of our practitioners. As a group, we saw and treated 566 community members and did what we could to make their lives better. It was a wonderful opportunity to apply all that we learned in the program to actual patients. It was an incredible experience to test my knowledge and learn a few clinical pearls that are not learned in the classroom setting. Luckily, we were able to accumulate a vast majority of donations throughout this past year, so we were able to give out clothing, shoes, dental hygiene supplies, baby diapers and supplies, shampoo, conditioner, body wash, glasses, sunglasses, rice, beans, and much more. Do you feel SWOB has helped you prepare for your future? Absolutely! As SWOB president I gained extensive experience as a leader. Throughout my year as president, I learned how my type-A personality can both hinder and aid in a leadership position, and I eventually learned the importance of delegation when it comes to such a large trip like SWOB. Unfortunately, physician assistants are not recognized as healthcare professionals in many countries and prevent us from participating with groups like Doctors Without Borders — but nurses and nurse practitioners can. I am motivated to advocate for including physician assistants into organizations like Doctors Without Borders. This trip has also provided me with invaluable patient experience that I will be able to apply to my future clinical practice.